Over the years I have posted my concerns about God’s people participating in Halloween. The responses have been varied. Some have agreed whole-heartedly. Others have thought I was from the dark ages and deserved to be pitied. All I am asking is that you take an honest look at what I have to share. You are then free to draw your own conclusions. It all began many centuries ago in the British Isles among a group known as the Druids. The Druids worshipped many gods and believed in the immortality of the soul. Every year they celebrated a festival in honour of their god Samhain, lord of the dead. It was believed that the spirits of the dead returned to visit the living during the evening of the festival. Great bonfires were lit to guide these ghostly visitors and to ward off evil spirits roaming the countryside. Traditional Halloween fires were still being lighted in Scotland as late as the 19th century. The name “Halloween” (or Hallowe’en) is a contraction derived from All Hallows Eve. When Christianity came to the British Isles, the Catholics celebrated All Saints Day (All Hallows) on November 1st. The festival of Samhain fell on the day before, the eve of All Hallows. It eventually became known as Hallows evening, or, Halloween. For centuries witches have considered Halloween to be their greatest day of the year. They believe that spirits (demons) are at the peak of their power, thus making more power available for their evil work. This is one of the reasons witches and devil costumes are so prevalent. It is commonly reported that witches and satanists still hold their Black Masses on this evening. What about the jack-o-lantern? Surely there’s nothing wrong with something that seems so innocent and fun! According to Irish tradition, a man named Jack was condemned to walk the earth carrying a lantern until Judgment Day. Hence the idea of the jack-o-lantern is in keeping with the earliest traditions of Halloween. A quick study will show that Halloween is deeply rooted in pagan tradition and the occult. One has to wonder how it became such a popular observance in the 20th century. What is God’s perspective on our participation in such things as Halloween? I think there are a few places in Scriptures where we need to look to find our answer. If the people of God were to completely do away with all the pagan practices of the Canaanites, why are we still clinging to the pagan practices of the ancient Druids? We have been delivered from the dominion of darkness by the death, burial and resurrection of the Lord Jesus Christ. Do we honour Him by participating in something that is so clearly from the dark side? Are we walking in the light of God when we participate in something like Halloween? Can people see God’s light in us when we practice something so obviously rooted in darkness? Does our participation expose the darkness, or promote it? Most of God’s people would never think of indulging in occult practices like tarot cards or Ouija boards, yet think little about participating in this holiday that was birthed by the occult. I encourage you to closely study the Scriptures we have listed and ask yourself the questions connected with them. How About Redeeming the Time? While it’s easy to stand around and bash Halloween as a pagan holiday, let’s not forget that our God is the ultimate Redeemer. So how about turning things around and redeeming the holiday by turning it into an opportunity for outreach? 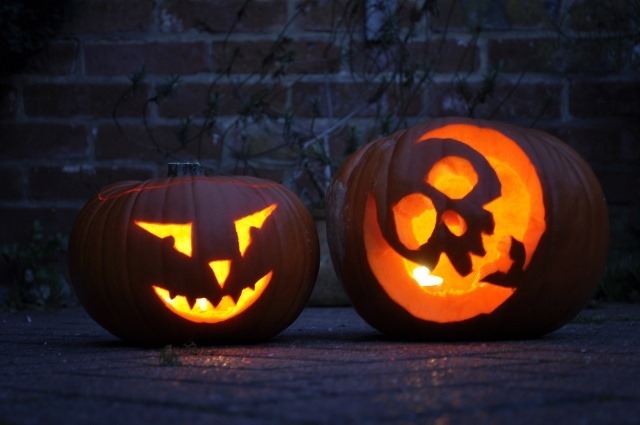 Verge Network offers a free guide for being missional during Halloween. It even provides some tips on how to disciple your kids during this time of year. .
What I have posted here is merely for your consideration. I am not about to sit in judgment over someone who chooses to participate in Halloween. There is only one Judge to whom we will all give an account, and I am not Him. For me and my house, however, I find the celebration of Halloween not to be congruent with living in the Reign.